CINDERELLA is the oldest fairy tale in existence with more versions than be counted. Kids Wings has put four award-winning Cinderella books together in a group that will offer the best overview of the fairy tale study. Ella Enchanted by Gail Carson Levine won the coveted Newbery Award in 1998 and has been made into a precious movie. 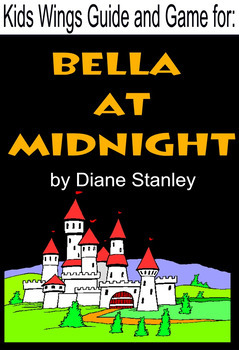 Bella at Midnight by Diane Stanley is one of our all-time favorites. Two picture books contrast the moods and characters in Russia and Persia. 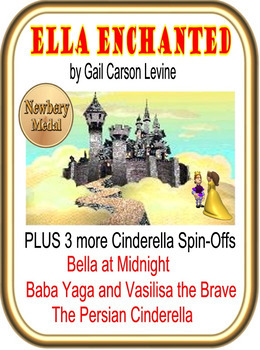 ELLA ENCHANTED, winner of the Newbery Medal of 1998, by Gail Carson Levine, THE STORY: When Ella was born, she was accidentally cursed by a fairy named Lucinda who gave her the "gift" of obedience. Whatever anyone told her to do, Ella had to obey. You might think that would devastate the feisty Ella, but as she tells her story, you will see how Lucinda's curse made a rebel of her. When her beloved mother dies, leaving her in the care of a mostly uninterested father, and later, a loathsome stepmother and two treacherous stepsisters, Ella's life and well-being seem to be greatly endangered. In Ella Enchanted she will tell you how she used her intelligence and frisky nature to keep her balanced as she sets out on a quest for freedom and self-discovery. But, what will happen as she tries to track down Lucinda and get her to undo the curse? Will she explain how she handles ogres she meets, how she befriends elves, and of course, how she falls in love with a prince along the way? Will there be a pumpkin coach? A glass slipper? A happily ever after? Most readers agree that this is the most remarkable, delightful, and profound version of Cinderella ever written. Is Ella Enchanted a Fairy Tale? In the midst of a hundred year war between Kingdom of Moranmoor and the Kingdom of Brutanna, the birth of a tiny baby began a series of ripples that would lead to great and miraculous things. Her birth was followed by two unfortunate events...the death of her beloved mother, Catherine, and the total rejection of her father. What would become of this child? Would the place her Aunt Maud found for her in a simple country home provide love and companionship as she grew? Could this be the same home where Prince Julian had been brought three years before when he was a newborn? What would happen when the war comes to Moranmoor? Would they be safe in the castle? Who would be lost? Caught up in the ripples of war, pride, and family conflict, Bella and Prince Julian are swept into a magical adventure that once again proves God is beside us, bringing courage, guidance, and miracles to those who believe. BELLA'S BALLAD/USING SEQUENCE TO ADD VERSES! A recorded song and melody by Ted Newman are included to introduce the story and invite students to write and sing their own summary-ballad verses as they read. PLUS a 53-slide interactive Jeopardy-type game for the grand finale in PowerPoint! 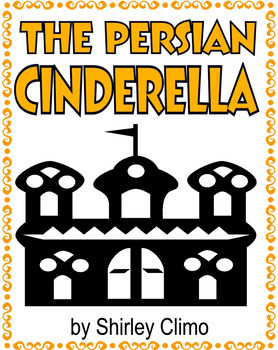 How would the Cinderella story be different if she had lived in Persia? The setting of the story is its roots! Change the roots, and you have change how the characters live, what they value, and how they solve problems. This story proves that Cinderella can adapt to any setting! 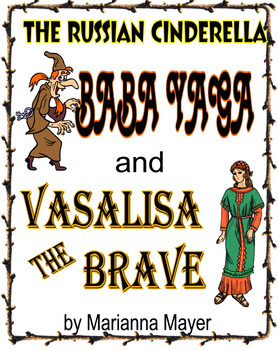 This Russian Cinderella stays true to the Cinderella tradition, but the witch is even move vicious and evil than ever and the heroine is even more sweet, kind, and patient with her plight. As Bruno Bettelheim points out in his book, The Uses of Enchantment The Meaning and Importance of Fairy Tales, children who experience fairy tales at an early age form a clear understanding of good and evil. There's no gray area in well written fairy tales! Be sure to see the C.S. Lewis Quotes on Fairy Tales as well. PLUS an Interactive Jeopardy-type Game in PowerPoint format.